Poor indoor air quality is often related to Sick Building Syndrome, a combination of ailments associated with one’s indoor work environment. The flow of air and the quality of air can significantly impact the health of the person working in an indoor setting, particular a hospital setting. In hospitals, there are sanitary issues to consider as regards air quality, such as spread of bacteria and virus’, and use of laboratory and cleaning chemicals that can vaporize and ride air currents. Dark and oppressive settings with minimal air flow of poor quality contribute to issues associated with Sick Building Syndrome. In this report, a detailed examination of lighting issues in one of the US-based hospitals (the Hospital) are discussed, with recommendations to improve lighting and thermal comfort with improvement in air quality in the Atrium, the administration offices, the conference rooms and consultation rooms. These recommendations are made to alleviate not only poor lighting, but also issues associated with Sick Building Syndrome within the structure. SBS (sick building syndrome) are a set of maladies associated with potentially harmful exposure to things like chemicals, mold, and bacteria that can exist within a building. This is almost entirely due to poor air flow, and has been shown to affect the nervous system, as well as the mucous membranes and skin. Causes of SBS can be due to old or faulty air conditioning resulting in moisture buildup and hence mold growth, inappropriate use of chemicals in cleaning or other industrial processes, chemicals that come off of upholstered furniture, poor ventilation resulting in toxic air distribution systems, poor lighting, biological contamination of HVAC systems (such as mites), poor acoustics and poor ergonomics. Sick Building Syndrome can be addressed through moisture-amelioration activities such as micropressure management, and eliminating or altering the physical environmental issues causing the SBS. Removing the obvious causes like chemically treated furniture, or mold infested air conditioners, can and does help ameliorate SBS. Other design considerations for addressing SBS include looking at lighting and air flow. Inherent in this is the characteristic of temperature, which affects certain biological elements that may contribute to SBS. The Hospital is located in the United States. The typical climate for this particular region is six months of rainy season between November through April, and six months of sunny season from May through October. Average yearly temperatures are 52°F. The Hospital sits atop an atoll in a geographic region that is primarily flat alluvial valley surrounded by volcanic mountain chains. Air quality is typically poor in the general area, due to the intense moist conditions, the overall warm temperatures, and the lack of air flow in the mountain-bounded river valley. Mold growth is common on most structures year round, and a feature that was noted in the area’s history. The Hospital was constructed in 1990, and is primarily a brick composite exterior with steel infrastructure, and plywood base walls with plasterboard facing. Most hospital rooms have been since repainted on a bi-annual basis in semi-gloss latex paint, and have industrial linoleum tile floors in the hospital rooms and main walkways. Conference rooms, consultation rooms, and administrative offices have commercial grade loop carpet, which as been replaced twice, most recently in 2010. The electrical system of the hospital is original, with repairs performed as needed. 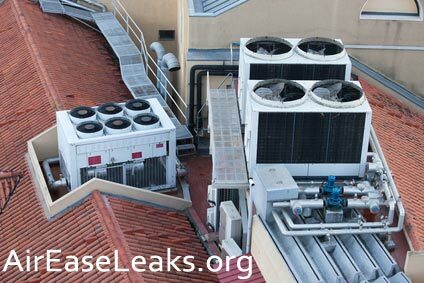 The air conditioning structure of the system is run by large rooftop structures, with ducts connecting most of the areas of the hospital with each other, including those of the office areas with those of the operating theaters. HEPA filters are installed and changed seasonally. The hospital has two main entrances located on the east and west wings, with a central emergency room entrance located midway. The east entrance foyer was built with a large welcoming Atrium. The atrium is comprised of a central fountain surrounded by live plants, around which upholstered furniture is arranged. Many people stop here to eat, chat, and rest. The lighting of the hospital is primarily of an internal lighting system, as half of the year of this region is dark, raining, and cloudy. The lighting throughout the building is primarily of fluorescent structures, in either ceiling-mounted or wall-sconce mounted bases. The administrative area has additional desktop lamps. Most of the hospital was built with smaller windows on the northern exposure, limited windows on the east and western exposure (simply due to building alignment) and larger bay style windows on the southern exposure. The overall impression of the hospital is one of an older style construction, with minimal indoor upgrades to the structure or design. Additionally, the exterior is original, including the windows. A large highway has developed within a ¼ mile of the hospital since the time of its inception, and the traffic volume is often of maximum capacity. The windows are old style with rotting molding, non-UVA filtered glass, and bear the signs of wear and tear through scratches, dings, and overall dinginess of the light filtering through the glass that is not due to cleanliness of the glass. The interior of the hospital is institutional, lighting is cold and harsh, the air feels damp and somewhat chilly, and the smell is earthy with chemical disinfectant overtones. Generally speaking, it is an unpleasant place. Current state: Most of the hospital is wired for fluorescent light. The only natural light is that coming from the wall mounted windows, which is primarily of a southern exposure. The current state of the fluorescent lighting is through luminary fixtures located at the center top of the walkways and room ceilings. Smaller wall mounted fixtures are seen throughout the hospital. Incandescent lamps are available in the administrative offices, in the conference rooms, and in the consultation rooms. The entire hospital is connected to one large air conditioning system with filters at the duct entrance to each room or space. The air conditioners are roof-mounted, exposed to the elements, and look to be original. They are rusted, covered in mold, and smell horrible. They sit in puddles of water which they continually leak, and that is not being adequately drained off the roof’s surface (drain pipes appear to be rusting and clogged). The whole interior of the hospital smells damp and somewhat musty. URGENT RECOMMENDATION: REPLACE THE AIR CONDITIONING SYSTEM AND CLEAN ALL AIR CONDITIONING DUCTS, REPLACE FILTERS. Primary to the following solutions in this report is to address firstly the problem of the poor air quality and the faulty air conditioning system. This is an imperative and no quick fixes are offered at the risk of further endangering the health of those working and visiting the hospital. There can be no exception to this recommendation. This recommendation inherently applies to each of the areas of recommendation in this report, and will not be restated. Located on the northern side of the building, these offices have minimal window exposure. Most of the space is that of a large room separated by dividers, with lighting given by ceiling mounted fluorescent luminaries. Small desk lamps are also part of the administrative lighting landscape. A Site Solar Analysis was performed to assess the Daylight Zone of the administrative area. This involved assessing window exposure from any given location within the administrative area, and performing a sky-view percentage analysis to determine the amount of daylight that reaches any one workstation within this area (Build It Solar). As this area is located on the northern exposure of the building, with small and minimal windows, the analysis determined that there was a 20% daylight exposure for any one workstation at any point throughout the day. 1. Relocate the general administrative area to the unoccupied area that is used for storage at the southwestern exposure. The Daylight Zone exposure for any point within the southwestern storage area (which curiously has large windows along the entire area) is 75%. The warehousing functions can be moved to the easily accessible first floor area of the current administrative offices. 2. Replace the outdated fluorescent ceiling lights with daylight filtering light structure via optical cables running from the southernmost Daylight Zone with the highest solar exposure. Optical cables can be run (inexpensively) to the workstations and attractively concealed in live plants situated on each desk (synthetic for those with allergies). 3. Remove the dividers for better light flow. 4. Install baseboard lighting; it is warmer than traditional ceiling-only lights. 5. Mount wall light fixtures that use “warm” fluorescent bulbs incandescent bulbs. “Warm” bulbs transmit color that is on the red/orange spectrum, and hence are called warm. “Cool” transmits white/blue light, and so is called ‘cool’. Wall mounted warm lights will provide feelings of coziness. 6. Upgrade the ceiling mounted lighting to a cool fluorescent light that is aligned along the sides of the ceiling area, with center-ceiling lighting being of the same variety in attractive recessed design structures. 7. Provide an air purifier and ionizer in multiple areas of the office. They are quiet and efficient. 8. Provide a room de-humidifier. 9. Provide room-adjustable temperature ‘zones’ appropriate to task (cooler by the windows, warmer away from the windows). The conference rooms are housed in the administrative department, while the consultation rooms are located in the east wing near the main Atrium entrance, halfway between the emergency department and the east wing intake desk. The rooms are fully enclosed, with no windows. Lighting is via lamp light, on the desktop only. Site solar analysis revealed a 0% exposure to daylight at any time, from any point throughout the existing rooms. Lighting via desktop lamps only in enclosed rooms conveys a feeling of low-level energy, almost bordering on mood lighting. 1. Move all conference rooms to an immediate fully-exposed, window-faced, southern exposure in the recommended site for the administrative offices (southwestern portion of the hospital building). 2. Run optical lighting cables for natural daylight into a room-limited recessed ceiling perimeter structure, such as an attractive oval or other shape. 3. Conference rooms should be light and bright, and this can be achieved with dramatic lighting and furniture accents. Provide a lighted lectern in black. Provide a black conference table with edge lighting that is housed within a clear glass edging to the table. The payoff in the initial custom build of the table will be seen in increased employee productivity and attitudes. 4. Provide warm-bulb wall sconce fixtures with adjustable lighting for those times when it is more appropriate for a subtler meeting climate. 5. Provide an air purifier and ionizer. 6. Provide a room de-humidifier. 7. Provide room adjustable temperature control. The current location of the consultation rooms works best for the doctors and other medical staff. It is necessary when talking to patients and families about potentially grave matters to have total and complete privacy, such as is afforded by a fully enclosed room. However, the lighting in these rooms is depressing and cold. 1. Run optical cables to bring in natural daylight in a fully run perimeter of the room, including baseboard. Provide warm-bulb lit perimeter lighting. Desks should be of a natural wood color, and furniture should be comfortable. The room should be decorated in warm, soothing colors to best reflect the lighting options and meet the needs of those using the room. 2. Provide white light standing fixtures that can easily be moved around the room, for those times when direct bright light is needed. 3. Provide a wall to view x-rays. A greenboard should also be provided (not black, colors should be soothing). 4. Provide an air purifier and ionizer. 5. Provide a room de-humidifier. 6. Provide a back-lit water feature, such as a ‘waterscape’ for soothing characters and additional mood-altering lighting. 7. Provide room-adjustable temperature control. The Atrium is a central feature of the main east hospital wing entrance. It was designed to be the primary entrance and meant to be a place of relaxation, as well as being a favorable public relations feature through its green “welcome.” The Atrium is housed within the east entrance wing, which is of a large dome shaped architectural structure. It is fully covered, and has perimeter wall windows of the eastern and southern exposure. The Atrium has a central water feature, using a feedback loop to recycle the fountain water. It is surrounded by live plants, and furniture is arranged around the room area. Lighting is provided by a large chandelier hanging from the center of the dome. The bulbs are incandescent white light. Natural light also comes from the windows, which in this climate reflects as much a rainy climate as a sunny one. Additional lighting comes from wall mounted sconces on the vertical beams that separate the windows. A site solar analysis revealed a 75% daylight exposure from the front parts of the Atrium (nearer to the windows), decreasing to less than 50% at the rear of the room leading into the hospital corridors. The room is large and while pleasant, could be improved. 1. Install ‘sky lights’ around the domes ceiling. This will dramatically improve natural lighting in the atrium; remove the chandelier and relocate to just within the doors entrance to the outside. 2. Install baseboard warm lights around the benches at the perimeter of the Atrium. 3. Provide warm standing lamps at the ends of couches and other reading-welcoming furniture. The Hospital is located in a part of the United States that is technically considered a rain forest, though in a northern latitude. Problems generally encountered in building design in areas such as this include low sunlight, and wet conditions. Together, these factors produce factors that lead to Sick Building Syndrome. SBS can be ameliorated through designing building for maximum solar exposure, installing optical cables to run daylight into interior spaces, providing task-appropriate thermal control, providing de-humidifiers, providing air purifiers and optimally functioning air conditioning systems. The Hospital can redress the areas that led it to being labeled a sick building by the EPA through employment of the measures as contained in this report. Brasche, M, et al. "Why do Women Suffer from Sick Building Syndrome more often than Men? – Subjective Higher Sensitivity versus Objective Causes." Indoor Air. Build It Solar. Solar Analysis Tools. Lstiburek, J and J. Carmody. Moisture Control Handbook: Principles and Practices for Residential and Small Commercial Buildings. New York: John Wiley & Sons. Louis, T. Air Ventilation and Systems by Air Ease. Chicago National Library. Access in the Tinley Park public library. Mendell, M.J., et al. "Risk Factors in Heating, Ventilating, and Air-Conditioning Systems for Occupant Symptoms in U.S. Office Buildings: the U.S. EPA BASE Study." Indoor Air Journal. Murphy, Claudette Michelle. Sick building syndrome and the problem of uncertainty. Duke University Press. Kates, Miriam. The current energy resources in Tinley Park, IL. Chicago Instituat of Technology News. Schonwald M.D, P. "Allergenic molds in the Pacific Northwest." Journal of Allergy.